Most people know the common formula affectionately known as IRV. Income is the net operating income (revenues minus operating expenses and before debt service). Value is the real estate market value. Rate is the capitalization rate. When you have a higher cap rate, the lower the value for the same amount of income or conversely, the lower the cap rate, the higher the value. Cap rate also reflects risk. Typically the higher the cap rate, the higher the risk. Lower cap rates come from credit tenants who are perceived as less risky. Cap rates run around 4% to 12% with an average of 8%. For easy figuring many use 10%--$100,000 of income is a $1 million value. The other part of the equation is not reflected here: what does is cost to borrow. If interest rates remain low (as they are predicted to do), then the cost of borrowing will stay low and allow for greater property values that still provide a desirable rate of return. 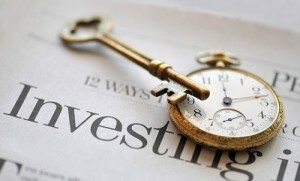 Some investors have recently enjoyed 5 year money for as little as 3% interest. When you can leverage your money, you can make more money, but it is also more risky. I suggest you talk to your banker before looking to buy to find out how much you could borrow and at what terms that work for you. If you don’t have a banker, we can provide several professional contacts we have enjoyed working with over the years. operating expenses—are they in line? The good news is that anyone can be a real estate investor. The key is to have good people to help you with your property: banker, property manager, commercial real estate agent, contractor, accountant and real estate attorney. The APPRO/CERRON team can help with leases, sales, acquisitions, management, market/proforma analysis, architectural design, and construction. We have contacts to cover the other areas to fit your project. Take their professional advice, use common sense and follow the golden rule of real estate: don’t fall in love with it. When it is time to sell, sell.